EVANS of Monmouth is a family run business founded by Robert Evans, more fondly known around town as Bob, in 1972 when he opened his first shop in Monmouth at 26–28 Monnow Street. 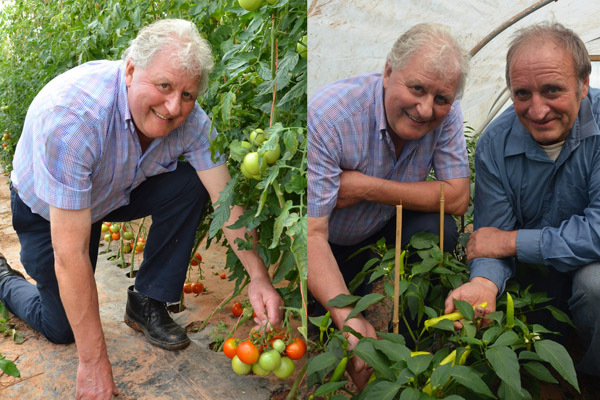 Bob started his career as a quality control engineer at RA Listers in the Forest of Dean, but to earn a few extra pence each week he grew a variety of vegetables on his father-in-law’s farm, which he sold to his work mates from the boot of his car in Listers carpark! It was from here that Bob decided he would like to open a shop. Driving through Monnow Street one morning, he’d called in for a newspaper and to see his old friend, the late Tony Knight. Tony suggested he buy the shop opposite, it was a fresh fish shop owned by the late Reg Hancock, and this is exactly what Bob ended up doing! A few years later Bob opened a second shop in Coleford, and then with the wholesale business increasing in Monmouth he moved premises to 96-98 Monnow Street, where he built a 3000sq ft warehouse behind the shop serving local hotels, restaurants and schools. Despite Bob’s love for Monnow Street and his ever loyal customers, with supermarkets taking over and retail trade in decline, Bob decided it was time to focus on his wholesale business, and, as such, he moved his business to the Wonastow Road Industrial Estate where he still operates from now. As a team, Evans of Monmouth serves more than 70 local businesses, including hotels, restaurants and pubs, leisure, education and the event catering industry. 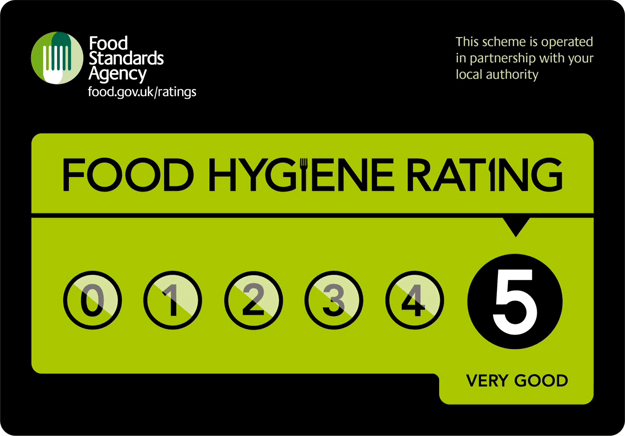 They pride themselves on reliability, flexibility and exceptional customer service. Evans of Monmouth is more than just a greengrocer; as well as providing a wide range of fresh produce, including fruit, vegetables, cheese, dairy, fish and meat, it also stocks a wide selection of frozen foods and other essential non-chilled items needed in every busy kitchen. 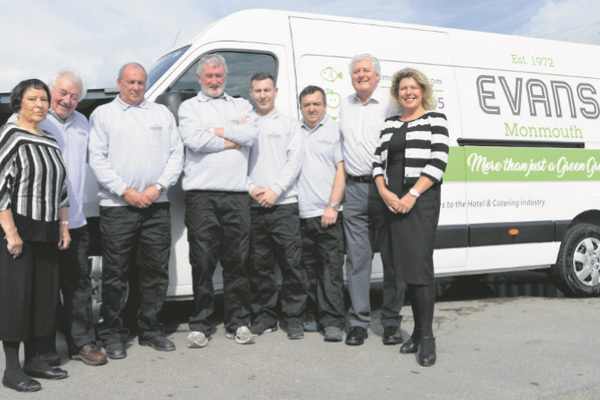 The Evans of Monmouth team is pictured with the new-look logo and brand new delivery van. Left to right are Janet Jones, Colin Pembridge, Paul Margerison, Richard Rees, Steven Jeffs, Daniel Jones, Bob Evans and his daughter Louise Gouldingay, the new addition to the team. 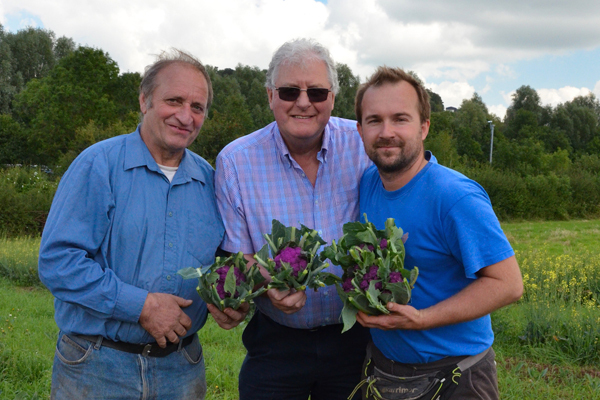 With a love for fresh local produce, Evans sources fruit and vegetables according to seasonality, having strong relationships with growers, such as Paul’s Organic Veg, and farmers across the county. Bob’s care for his customer relationships also extends to his employees, some of whom have been a part of the team for many years. 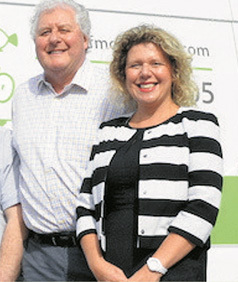 Janet Jones, now Company Secretary, has worked with Bob for 39 years and Paul Margerison has been Operations Manager for 33 years, showing the same loyalty to Bob as his customers. Because he cares, they care too! This care also extends to the local community, as Bob proudly supports local activities through direct sponsorship. The Blake Theatre and the Monmouth Town Youth benefit from his sponsorship support, it has also not been uncommon to see Bob get directly involved, helping flip burgers at the annual junior football festival.